WeChat app allow you to communicate with others without the limitation of distance. It allow you to send and receive not only text and audio messages, but also photos and videos. These old WeChat history on iPhone may record some important information you need. However, have you meet the trouble that these old WeChat history were deleted or lost on your iPhone? Do you hope to recover them? In today’s post, we will introduce you the tool which can help you recover old WeChat history on iPhone with ease. iRefone is the best iPhone WeChat data recovery tool that help you recover deleted data on iPhone, especially WeChat data. Besides WeChat, it also supports to recover messages, notes, contacts, photos and other data on your iPhone and backup. Before recovery, it enables you to preview these data in the software so that you could selectively choose these data you need. Follow below steps to get to know how to recover old WeChat history on iPhone. Step 2: Then it will bring you to a interface to ask you choose the data you want to scan. Choose and click on the “WeChat Messages” icon. 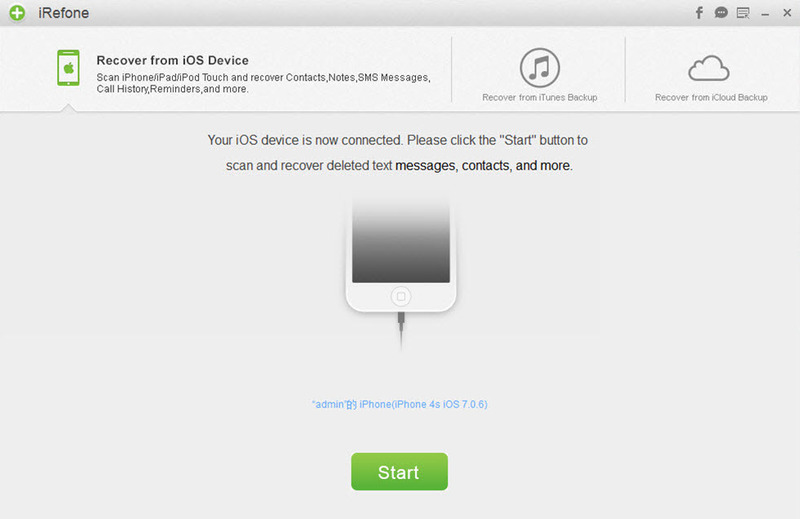 The software will automatically scan and analysis your device when you click on the icon. The scanning time depends on the database in your iPhone. Just wait patiently for the scanning. Step 3: When the scanning is finished. All of the messages of your WeChat will be displayed, including old WeChat history. Select these messages you need and click on “Recover to PC” to save these WeChat messages on your computer. 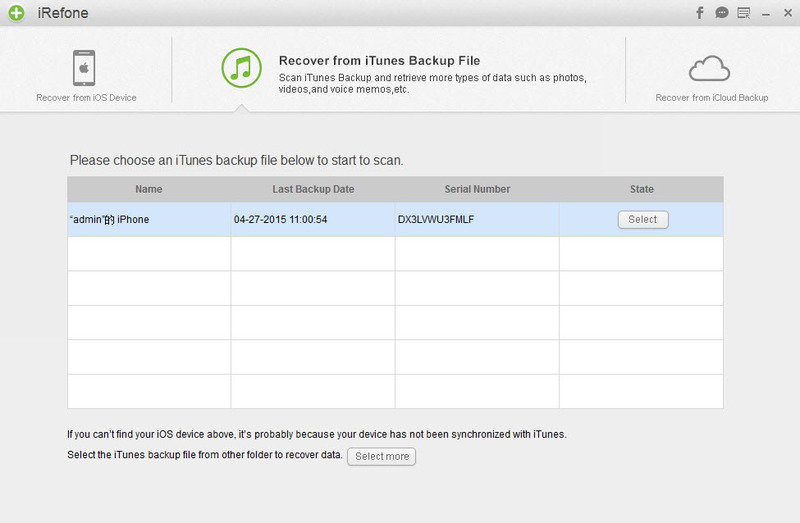 Step 1: Launch iRefone and choose “Recover from iTunes Backup” as the recovery mode. All of the iTunes backup files which you have ever synced with iTunes on this computer will be automatically found and listed in the software. Click “Select” or double click the backup you need to access the data. Step 2: Choose the WeChat Messages icon to start the scanning. Step 3: When the scanning is finished, preview the WeChat messages in your iTunes backup and pick out these messages you need to save on your computer. Click “Recover to PC” to choose the store folder. 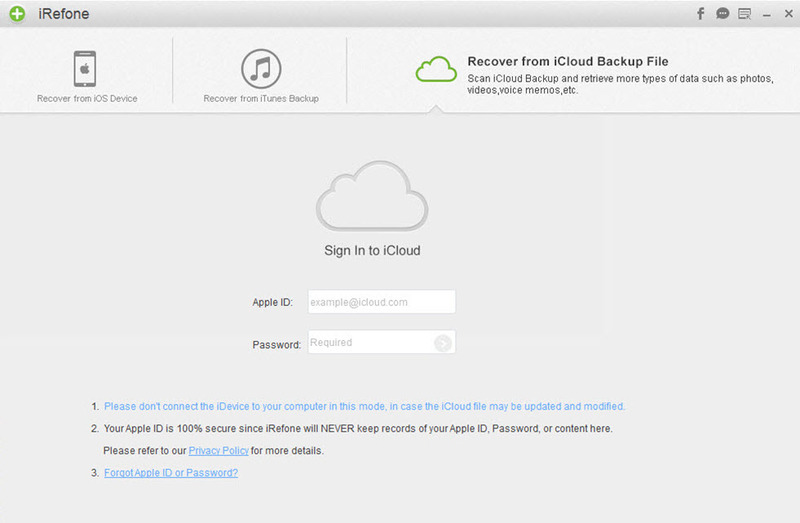 Step 1: Choose “Recover from iCloud Backup” to recover WeChat messages. Sign in your iCloud account with Apple ID and passcode. Step 2: Choose the data you want to recover in your WeChat. This process will reduce the time of downloading. The less data you choose, the less time wait for the downloading. Step 3: When the downloading process is stopped, you can click the icon of WeChat Messages in your iCloud backup file. Step 4: You could preview all of your WeChat messages in iCloud backup. Select these messages you need to backup them on your computer.